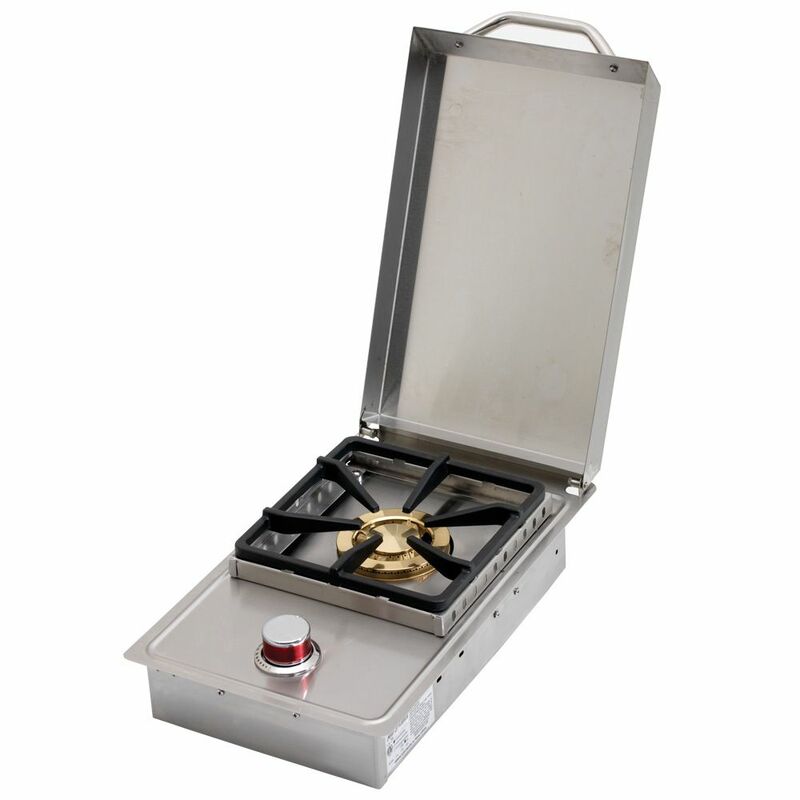 The Gas Single Burner Outdoor Stove is what you need to cook up hot meals with ease. Throw on your stock pots, skillets, and Dutch ovens on the 21,000 BTUs heat for epic flavour. Corn on a cob, fries, steaks, veggies, and soup for the campsite, tailgate, and backyard. The next generation SilKEN 2<sup></sup> is a patented high energy, cool induction cooking system coupled with ground breaking new features. Stainless steel coloured graphics provide a sleek and polished look that modernizes any galley or kitchen. This revolutionary cooktop offers cooking by temperature or power setting, quick heat dissipation and user-friendly controls. The new patented silicone mat covers the entire cooktop and provides pot retention, confines spills and splatter, protects the glass-top and is easy-to-clean (just throw the SilKEN<sup></sup> Mat in the dishwasher or sink). The integrated heat sensing disc relays temperature feedback from the cooking vessel to the touch control system for accurate cooking. These cooktops are also rated for outdoor use on a terrace or balcony, perfect for an outdoor kitchen! Available in Landscape and Portrait orientations, once you experience the SilKEN 2<sup></sup> you will know why no other cooktop compares! Stainless Steel Built-In Gas Single Side-Burner When you need another heat source for cooking, the 11 in. Single Flat Side Burner For Outdoor BBQ Grill Island is an excellent solution. This 304-grade stainless steel side burner is perfect for Wok cooking and offers a convenient way to cook your favorite side dishes without having to run back inside to your indoor kitchen. Stainless Steel Built-In Gas Single Side-Burner is rated 4.0 out of 5 by 7. Rated 1 out of 5 by Giovanni from Not what i expected is going back, flame is tiny... Not what i expected is going back, flame is tiny and not enough heat. Rated 4 out of 5 by Rlsimps from Looks sharp. Burner power is less that I hoped, but... Looks sharp. Burner power is less that I hoped, but sufficient for most side dishes. I don't see how it could be considered strong enough for wok applications. Rated 3 out of 5 by Tmac from Scratched Got the side burner in and upon first glance I couldn't figure out why such a big box. The burner was in its original box which was lined with styrofoam sheeting. The problem was the burner box was inside a really big box that allowed the original box to slide around inside the larger box. The cover had shifted back and forth and scratched the top of the burner cabinet. Other than that, the burner is really what I wanted. Looks to be good quality. Rated 5 out of 5 by Anonymous from Outdoor kitchen This side burner is an excellent addition to my outdoor kitchen. Works great and looks great! Rated 5 out of 5 by Dave from This product is a great! For an outdoor kitchen, this product is perfect. It lights every time, and has even heat distribution.